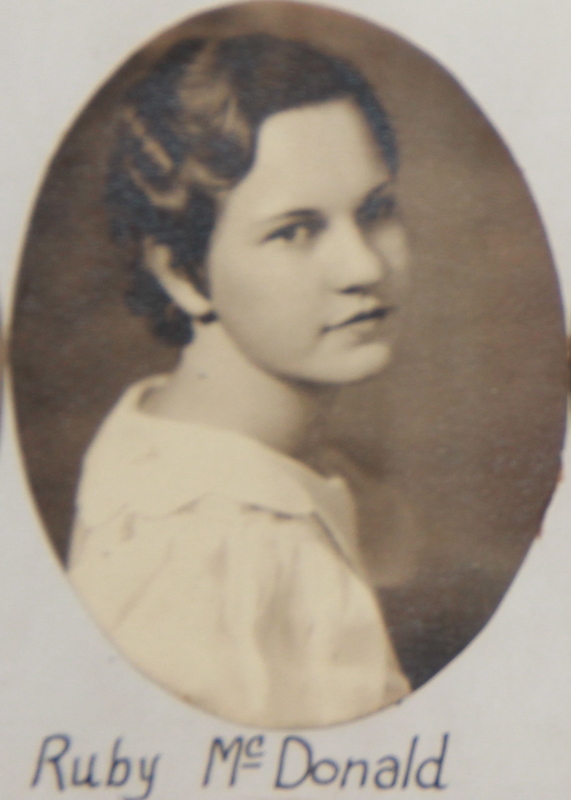 Ruby McDonald Senior Class Picture, Bradford High School, 1933. She was in the same class as Eleanor Butte and Margaret Burnett, and Olive Bell, who were also Gypsy Coeds, and each went on two trips. Olive Bell 1935, 1936, Eleanor Butte, 1936, 1937, Ruby McDonald, 1937, 1938 and Margaret Burnett, 1941, 1942.